Following the recent years’ trend regarding the split between mainstream and premium brands, FCA has been working to make part of the last group by boosting the image of Ferrari, Maserati and recently Jeep. Alfa Romeo gets ready with the arrival of the new mid-size sedan by the end of June of this year. But how premium is Jeep? 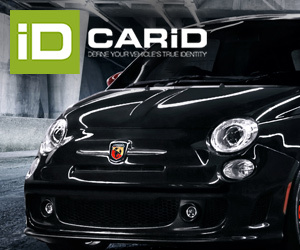 the strategy for Europe is to position this brand among the premium options such as Mercedes, BMW, Land Rover and Audi. 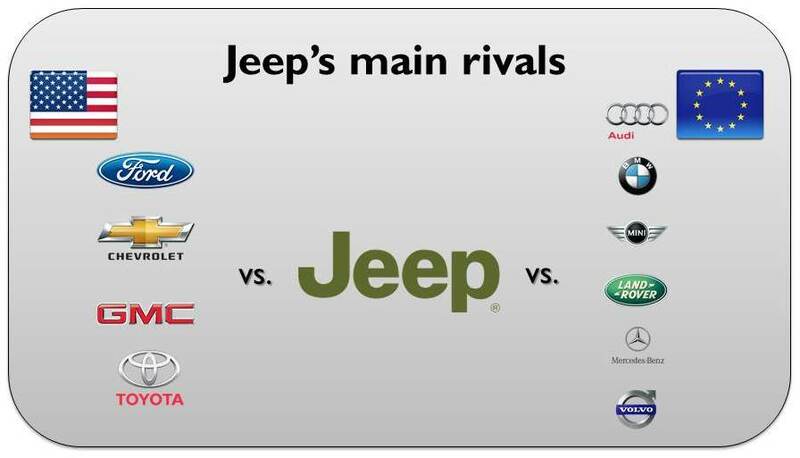 It differs from America’s positioning, where Jeep is one more mainstream brand competing with Ford, GMC and Chevrolet. Why do they have 2 different approaches for the same brand in 2 mature markets? In America Jeep rivals with the mainstream big car makers, such as GM’s Chevrolet and GMC, Ford, and Toyota. 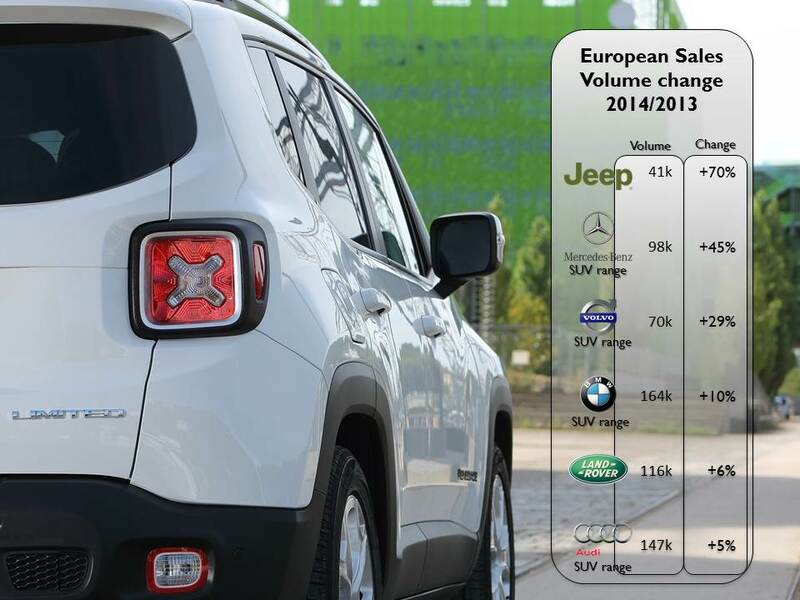 In Europe it wants to be compared to the German premiums, Volvo and Mini (in the case of the Renegade). In reality the positioning of Jeep in Europe isn’t clear yet. Sometimes the brand wants to transmit dynamism along with freedom and passion values. This is quite visible with the latest Renegade’s campaigns and some marketing initiatives such as Jeep Owners Group, JOG. In this case Jeep focuses on the adventure and features real capable SUVs. The Wrangler and the Renegade make part of this group. They were born to like not for their shape but for their SUV skills. The Compass is living its final months waiting for a successor next year. And then comes the Cherokee and Grand Cherokee, which play an important role but their positioning may generate some confusion. Based on its trims, prices and look, the Grand Cherokee could be included in the premium E-SUV segment as it is a direct rival to the BMW X5, Porsche Cayenne, Audi Q7 and Mercedes ML. The marketing approach has also been aligned with this idea: exclusive and fancy presentations and a very classic advertising. European range includes 4 different nameplates that have different positionings. 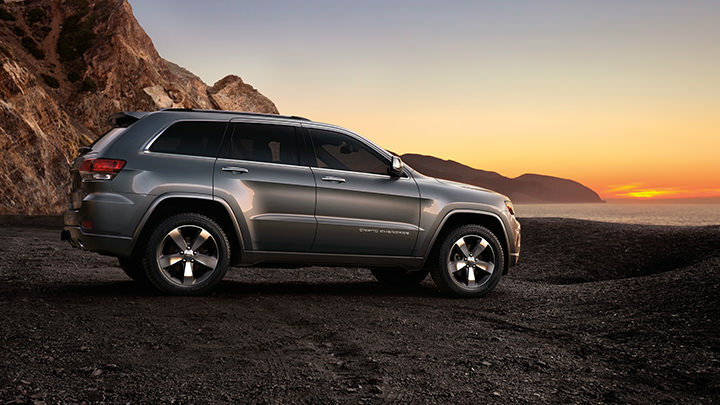 But the Grand Cherokee may be the only premium product of Jeep in Europe. The remaining nameplates have different positioning and speak different languages in terms of values and image. A Renegade, even if it’s along with the Countryman the most expensive B-SUV, shouldn’t be considered as a premium car because it looks more like the adventure small SUV, made to please its driver because of its off-road capabilities and not because of its comfort and luxury features. The same happens to the Wrangler. In the case of the Cherokee, based on its price list, it is more likely to be considered a premium choice but is it really? it is not the case for the Grand Cherokee, which can be easily the right alternative to the BMW X5, Audi Q7 or Mercedes ML. And a right positioning means good sales results. While the Cherokee struggles to compete with the German premiums, the Grand Cherokee isn’t far from them and in some markets it even outsells the BMW or Audi. It is clear that Jeep can’t compete in Europe as it does in America. The public has different views. European strategy isn’t clear yet but what they must do is to increase the brand’s awareness and its image as the real SUV maker. 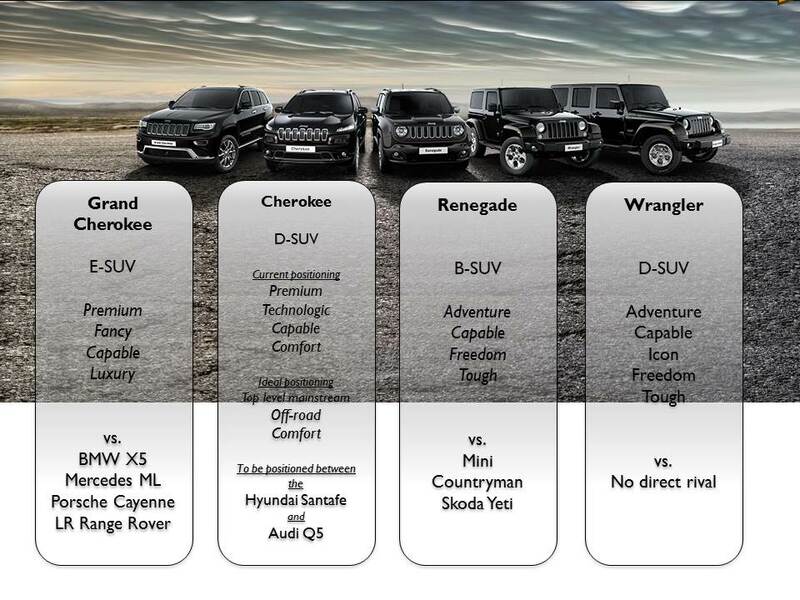 The brand should be positioned right in the middle between the mainstream SUVs and the premium ones, leaving the Grand Cherokee right where it is, and repositioning the Cherokee one step behind the Germans and Land Rover. The Renegade and Wrangler can play their adventure off-road role. In 2014 Jeep made a good job in Europe but there is still a long path to go. `JEEP’ is well known and most popular word for common man in India. Now jeep is coming again in India as in the premium segment. Undoubtedly it will be one of the most successful premium brand again in India. Jeep is one of only TWO genuine Off-road brands, the other being Land Rover. JLR has begun a process of building 3 ranges of vehicles. Range Rover as Premium, Dicovery as Lifestyle and Defender as Utilitarian. The current cars are a follows. Range Rover Sport: Aimed at those who demand luxury, off-road ability and a sportier drive. Jaguar F-Pace: Aimed at younger buyers who focus on style and sportiness above all. Range Rover Evoque: Aimed at drivers with a smaller budget but wanting a Range Rover badge. Land Rover Discovery: Advanced tech and genuine off-road ability, 7-seats, with the Sport being the shorter 5-seat version. Land Rover Defender: complete range of off-road vehicles, easy clean and maintained. Jeep could easily fit into this range, with Maserati providing the competitor for the F-Pace in the FCA range.